Why study CNI at EIT Digital? Where can I study CNI? Why study Cloud and Network Infrastructures at EIT Digital? Cloud and Network Infrastructures provides a comprehensive view on network and cloud computing. Students will learn to master network management, operation, and design on the one hand and cloud service and deployment models, implementation strategies, and application design on the other. The programme also focuses on future directions of cloud computing, for example, in the fields of edge and fog computing as well as blockchains and distributed ledger applications respectively. Today’s networks are reaching their limit because of an increased number of devices connected to the Internet, rapid traffic growth and quantity of data exchanged online. This led to the physical split of Cloud Computing and networks. By bringing cloud computing closer to the network, the benefits of the next generation of wireless technologies is that of being flexible, safe and cheap. This will allow real-time big data analysis and improved application performance. The cloudification of networks enables new application fields like smart cities, Industrial Internet of Things, Industry 4.0, autonomous driving and augmented virtual reality. For instance, smart traffic signal will enable traffic lights to work in sync with connected vehicles, so drivers aren’t forced to seat at an empty intersection, waiting for the traffic light to turn green. Furthermore, the set of technical possibilities it offers is so innovative that it will also enable new business models and business opportunities bringing tremendous changes in society overall. Experts and specialists working in this field need to understand the fundamentals of networking and cloud computing, and they must be capable of making judgements of how innovations in these fields affect existing business models or can create new ones. 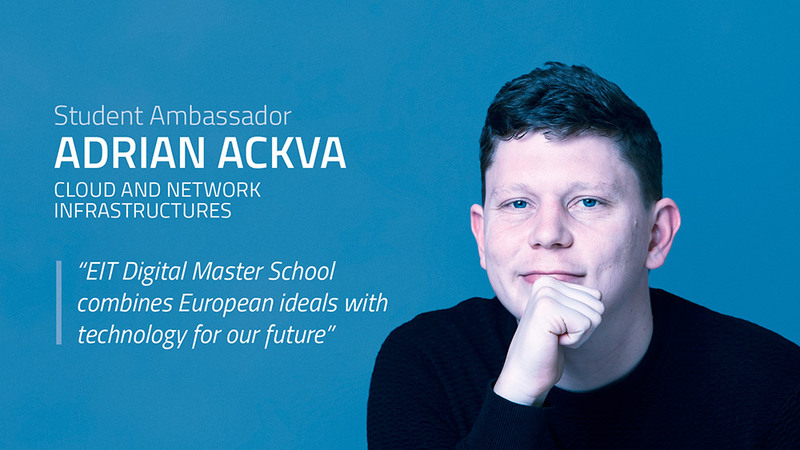 EIT Digital Master School offers a unique two-year academic programme, whereby students study Cloud and network Infrastructures, innovation and entrepreneurship at two different leading European universities. At the same time, they also acquire extensive business skills by learning how to bring an innovation to the market and developing a successful business model. These additional entrepreneurial skills will give students their ticket to a successful career. Students should have basic competence in mathematics, theoretical foundations of computer science, algorithms and data structures, software engineering and database systems, computer architectures, computer networks and operating systems. Where can I study Cloud and Network Infrastructures? The courses cover the theoretical and practical aspects of designing and analyzing mobile networks and cloud services. In the Master’s thesis project, the students can focus on problems arising from the thematic research projects in the Helsinki node of EIT Digital. Jukka Manner received his MSc. (1999) and PhD. (2004) degrees in computer science from the University of Helsinki. He has a full professor (tenured) of networking technology at Aalto University, Department of Communications and Networking (Comnet) since 2008. His research and teaching focuses on networking, software and distributed systems, with a strong focus on wireless and mobile networks, transport protocols, energy efficient ICT and cyber security. He has contributed to standardization of Internet technologies in the IETF since 1999, and was the co-chair of the NSIS working group. He has been principal investigator and project manager for over 15 national and international research projects. He has authored over 100 publications, including eleven IETF RFCs. In 2014 he received the Cross of Merit, Signals, and in 2015 the Medal for Military Merits for contributions in national defence and C4. The specialisation Cloud & Distributed Computing focuses on running and managing complex cloud systems as well as on designing cloud-bas ed applications like distributed, data-centric applications. Study and Master thesis projects can be performed on campus in conjunction with Telekom Innovation Laboratories (T-Labs) as an EIT partner, as well as with scientific institutions intensively collaborating with TU Berlin in the near surroundings (Fraunhofer institute, etc.). The data centre of TU Berlin tubIT offers hands-on experience with real cloud systems. The specialisation also contains a broad range of elective courses in the fields of cloud computing, related network technologies and data analytics. "What if your city could turn into a gigantic computer that would let you interact through augmented reality and without any delay with the city’s infrastructure such as buildings, administration, public transportation, or traffic signs? What if the manufacturing industry evolved toward a distributed production of goods with low energy processes, collaborative robots, and integrated manufacturing and logistics? What if consumers could use applications from the Internet that do not forward their personal data to central computing centers abroad but would store them at the user’s preferred locations? Join this programme if you want to be driver of this transformation!" Cloud/Fog computing and 5G networking technology convergence enables the design of innovative services and applications which aim to improve operational efficiency and urban citizen’s quality of life. This specialisation focuses on enabling technologies to build, operate and manage massively distributed heterogeneous resources in the broad domain of smart city services and applications. Students will also learn about the fundamental properties of autonomic systems and how to adapt applications according to dynamic changes in data and system load. This specialization is given in close connection with the INRIA/IRISA research lab (the largest IT research lab in France) which hosts several internationally reputed research teams (ACES, ASAP, KERDATA, MYRIADS, STACK) representing about 60 researchers focusing their work on various aspects of cloud computing, fog computing, networking infrastructures and smart city services. Shadi Ibrahim received his PhD degree in Computer Science from Huazhong University of Science and Technology in Wuhan, China in 2011. In 2011 he joined Inria (the French National Institute for Research in Computer Science and Automation) where he is now a research scientist within the Stack team. Over the years he supervised several master thesis projects, 2 PhD students, and 1 post-doc researcher. He has served as program co-chair for the 2018 IEEE International Congress on Big Data, the CEBDA 2018 Workshop, the 2017 ICA3PP conference, the 2017 EBDMA Workshop; and the PhD consortium of the 2014 CloudCom conference. His current research interests are in Big data management, Data-Intensive computing, HPC, cloud and Edge computing, virtualization technology, and file and storage systems. Prof Guillaume Pierre is the local coordinator of the CCS programme at University of Rennes 1. He holds a PhD from University Evry-val d'Essonne, France and has spent 13 years at the VU University in Amsterdam before coming to Rennes. His research interests include cloud computing, platform-as-a-service, scalable Web application hosting, and the management of very large computing infrastructures. He has been strongly involved in several European research projects on Cloud computing: XtreemOS, Contrail, HARNESS, MC-DATA etc. He is the main architect of the ConPaaS integrated runtime environment for elastic cloud applications. Sorbonne University offers a specialisation in Smart Mobility Systems with courses in network structure and dynamics, mobile and pervasive networks, network metrology, and research methodology. The focus will be on offering a complete and consistent vision of networking architectures and technologies both in wired and wireless/mobile environments, at access and core networks. This programme will aim to provide a rigorous theoretical knowledge and understanding of current issues as well as detailed practical experience of advanced networking technologies and architectures. The objective is to respond to the strong industry demand of high-level network engineers and specialists. This programme in essence is thought out to make the students aware of the requirements, constraints, and evolutions that the networking industry has to cope with; it naturally trains them to be destined for a high-level industrial career, particularly in the field of research and innovation. Dr Prométhée Spathis is the coordinator of the Internet Technology Architecture major. He is an associate professor at Sorbonne University-UPMC in the Networkand Performance Analysis group. He received both MSc (1998) and his PhD in Computer (2003) Science from UPMC. Over the years, Dr Spathis has supervised over 20 Master’s Thesis and 4 Doctor of Science Thesis. He has been involved in European projects (European Commission’s 6th and 7th Framework Programmes) and coordination actions, as well as many national research projects. He has also participated to several French scientific-technological cooperation programmes with South America. He is currently co-advising two PhD students in the research areas of content-based architectures and content dissemination in vehicular networks. Prométhée Spathis is also the programme director for a Master Programme implemented in Vietnam. KTH offers courses in the area of data intensive distributed computing, covering both the design of network infrastructures that can support these emerging applications, and the design of the distributed computing applications itself, focusing on scalable machine learning and on distributed artificial intelligence. Viktoria Fodor received her MSc and PhD degrees in computer engineering from the Budapest University of Technology and Economics. In 1999 she joined KTH, Royal Institute of Technology, where she now acts as assistant professor in the Laboratory for Communication Networks and coordinator of the local EIT Digital Master School programme ITA. Over the years she supervised several master thesis projects and 2 PhD theses. She participated in several European and Swedish research projects. 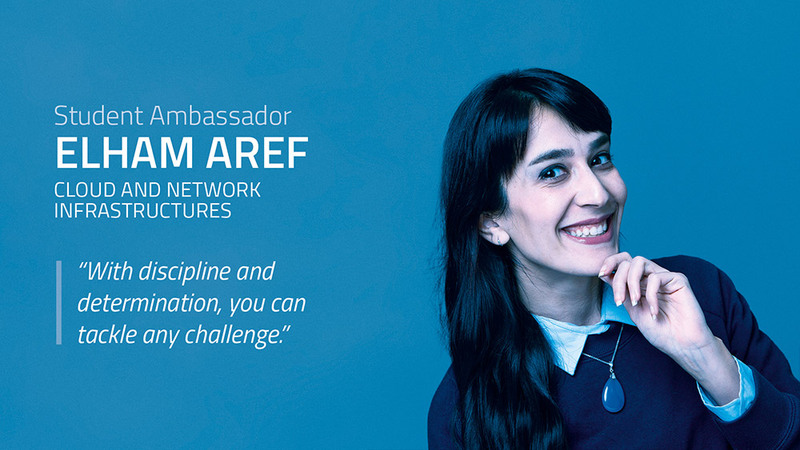 Her current research interests include multimedia and peer-to-peer communication, sensor network and cognitive radio network protocol design and performance analysis. UNITN will offer a specialization in 5G and beyond 5G. Indeed, 5G is expected to bring unprecedented improvements and advances to the cellular networks that we used today. Moreover, they will offer the infrastructure for the deployment of several novel emerging applications and services, including Internet of Things, Vehicular Communications, Tactile Internet, machine-to-machine communications, smart grid. The student attending this specialization will be exposes to the most recent advances in communication protocols and devices, network virtualization and control, softwarization and service provisioning. Fabrizio Granelli is an associate professor at the Dept. of Information Engineering and Computer Science (DISI) of the University of Trento (Italy) and Director of Online Content at IEEE Communications Society. He was IEEE ComSoc distinguished lecturer in 2012-15 and Delegate for Education of DISI in 2015-17. His main research activities are in the field of networking, with particular reference to wireless networks (performance optimization, ad-hoc networks modeling), cognitive networks/radios, cross-layer design and green networking. He is the author of more than 200 papers, guest-editor in relevant international journals (ACM/Kluwer Mobile Networks and Applications Journal, ACM TOMACS, JSAC, IEEE Communications Magazine) and visiting professor at the State University of Campinas and at The University of Tokyo. He is the former Chair of the IEEE Communication Systems Integration and Modeling Technical Committee and he was chair or co-chair of several top-level international events, like IEEE Globecom Symposium TPC Co-Chair on "Performance Modeling, QoS and Reliability" from 2007 to 2009 and in 2012. Also, they can start their own company to provide products and services, whether they relate to cloud computing infrastructures or to application domains based on them. They can also offer business development and consultancy services. Students also qualify for a research and academic career through a follow-up doctoral project. Watch our webinar to learn more about what it’s like to study Cloud and Network Infrastructures at EIT Digital Master School.